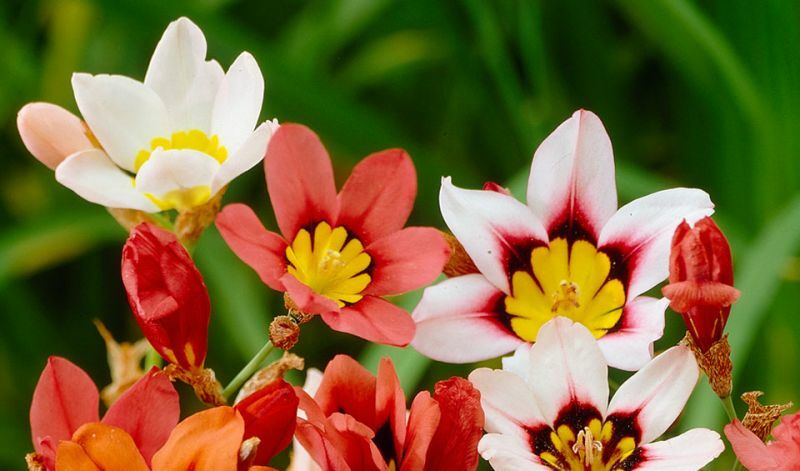 Sparaxis produce spikes of brightly colored star-shaped flowers (2" / 5 cm in diameter) with narrow, sword-shaped leaves. They bloom for a very long time and are very easy to grow. These very inexpensive bulbs make a colorful splash in a small border or container and are also very suitable as cutflowers. In borders, rock gardens and containers. Usually only sold as 'Mixed Colors'. The Cape province of South Africa.